This is rather easy. 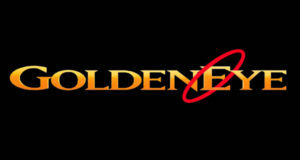 Following is the usage of goldeneye.py. Depending on where you’ve saved the files, adjust your path and command. Hitting webserver in mode 'get' with 10 workers running 500 connections each. Hit CTRL+C to cancel. The whole attack lasted only 30 seconds. I had a massive pool of free memory and just 11 httpd workers. I’ve now got just 101M free memory and 174 httpd workers. Took only 15 seconds to push this server to it limit. 127.0.0.1 - - [14/Nov/2014:12:27:04 +1100] "GET /?EJNXO8HDpl=EwMajNhKxa&bxp=EtLn1&Uyb=nfs3I57ETsUtoNRo&6REd1geaR0=sFNMbxOc7e63XANWEVy HTTP/1.1" 200 11483 "-" "Mozilla/5.0 (compatible; MSIE 6.1; Linux x86_64; .NET CLR 3.0.23444; X11)"
127.0.0.1 - - [14/Nov/2014:12:27:04 +1100] "GET /?UrHk=fKtKtWeNbLBN&csG7UX5=Ki6fUcuE5XEkJ&8DySEKmhO=LSMj3ETBpaX03mChRc&5IO=2EwW HTTP/1.1" 200 14137 "http://www.bing.com/nlkgkM" "Mozilla/5.0 (Macintosh; Intel Mac OS X 11_5_1) AppleWebKit/536.2 (KHTML, like Gecko) Chrome/24.0.1831.78 Safari/535.36"
127.0.0.1 - - [14/Nov/2014:12:27:05 +1100] "GET /?aPI=KbwATrwa8H3ukQ&orBIDTNE=sLPeOsAykH&127f5U=EIxk3Tffk02Fgpdpx&HVorln=rbqB&svTJYQJb=FX2fuRV HTTP/1.1" 200 14159 "http://www.mysite.com/8pxaIa" "Mozilla/5.0 (Linux i386; X11) AppleWebKit/536.22 (KHTML, like Gecko) Chrome/28.0.587.10 Safari/536.31"
127.0.0.1 - - [14/Nov/2014:12:27:01 +1100] "GET /?gtVwWdM6kC=fI2pKwLaw&lUXL1=L54q1i8oRmPGs7QwdRk8 HTTP/1.1" 200 14090 "http://www.baidu.com/mS6f3Rth?15vTPOgS=gmunmncva7VmH542b&7uWmMCM=diXiLQYHm4ltd8&bqCiNt=YrNGj20&rVYVD=pBQATyepegya&OLQgK4ie2=3oIcbCB&Qtn5viuw=n4iSJxaPPXR0pshPQkh&em8Pk=5oYUVYTCaSx5Y8P33y5" "Mozilla/5.0 (Windows; U; MSIE 10.0; Linux x86_64; .NET CLR 1.1.15295; X11)"
127.0.0.1 - - [14/Nov/2014:12:27:01 +1100] "GET /?bftxjXs=qH8No3I7a&xSM=jPo2kMHPE HTTP/1.1" 200 14073 "-" "Mozilla/5.0 (Linux x86_64; X11) AppleWebKit/537.29 (KHTML, like Gecko) Chrome/17.0.1100.100 Safari/535.25"
Just looking at the logs, you can see that each line contains a different GET request with different strings and in some cases, refers to BING, BAIDU or some random search engine. So what happens when your Web Server see’s this attack? It analyzes the incoming traffic, checks the requested URL, source address and Referrer and allow it with HTTP 200 OK. Why? Because each browser was different. I’ve highlighted some parts in RED. Get a higher ratings in Google as it would assume you are getting legit traffic. If Google eventually can put a logic behind it, then still flood a competitors website to lower it in Google’s ranking. Edit connection per IP threshold. If you’re hosted on a Shared server, contact SysAdmin. If they can’t defend this simple attack, just migrate to a better hosting company. Use a Web application Firewall (WAF). White-list incoming queries and this attack will have no affect on your server. NGINX and Node.js seems to work better against these type of attacks. GoldenEye seems like a subset (or similar) of HTTP Flooder. Both works in similar ways but GoldenEye’s NoCache and KeepAlive makes a big difference. Also, it uses an interesting way of mix-matching Browser, Operating System and Referrer which can be deceptive to a Firewall. All in all, it’s a good tool to load test your personal website (with permission from your Hosting company), your corporate website and any web application that allows incoming GET or POST request. Use it to update your Firewall rules, Application Firewall and thus avoid future attacks. I would be interested to hear your solution, so if you are experiencing these type of attacks, leave a comment and your solution here. You should schedule and announce your test window so users are aware of the possibility of an outage. Often simulations result in actual failures. Under NO Circumstances should you run a DoS simulation/test attack against your environment without first notifying your hosting provider. This is especially true for external / full stack tests that will be going through your provider’s network. Good post. Worked smoothly. Thanks. This actually works pretty well. nice.can post some tutorial.thankz and sory for my bad eng..